The RYNO was made into reality as the result of a child’s imagination. When a Portland, Oregon engineer’s 13-year-old daughter asked if it was possible to build a one-wheeled motorcycle she saw in a video game, Chris Hoffmann decided that yes – he probably could. 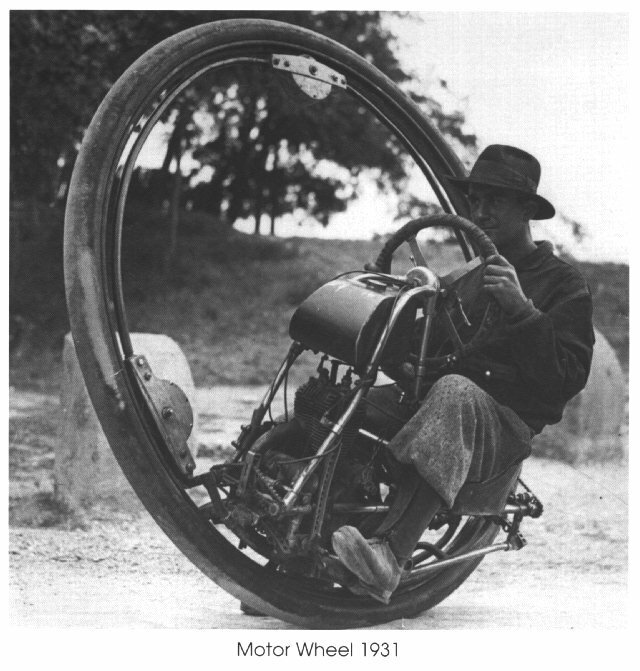 Further research revealed earlier attempts, such as this wild sit-inside-the-wheel contraption from the 1940s. With recent technological advances and cost reductions leveraged from mass production products like smart phones, the technology-to-cost curve had finally hit a tipping point. The future we wanted is finally ready for delivery. It’s time to ride the future. That daydream of a 13-year-old became a sketch on napkin. Hoffmann – a self-taught engineer with 15 years of auto industry engineering experience designing heavy plant machinery – approached the dilemma in a unique manner. Rather than figuring out if he could build it, he instead spent time trying to figure out what would stop him from building it. He kept finding low cost high tech components until all that was left was the sheet metal to connect it. So he took a machine-shop class at the local community college and got busy. Six years and three prototypes later, all the lessons learned in the shop and all the feedback from the road have been combined into an amazing product, which is set to enter production as the world’s first. 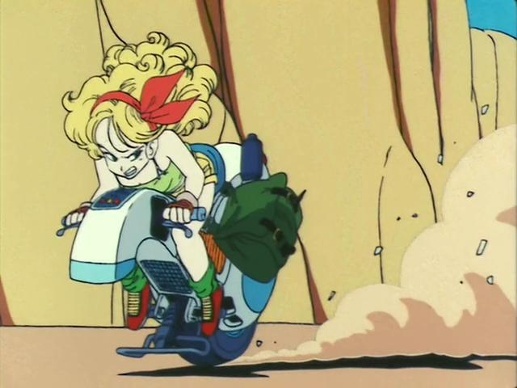 The one-wheeled, ultra-efficient urban personal transportation device of the next generation. 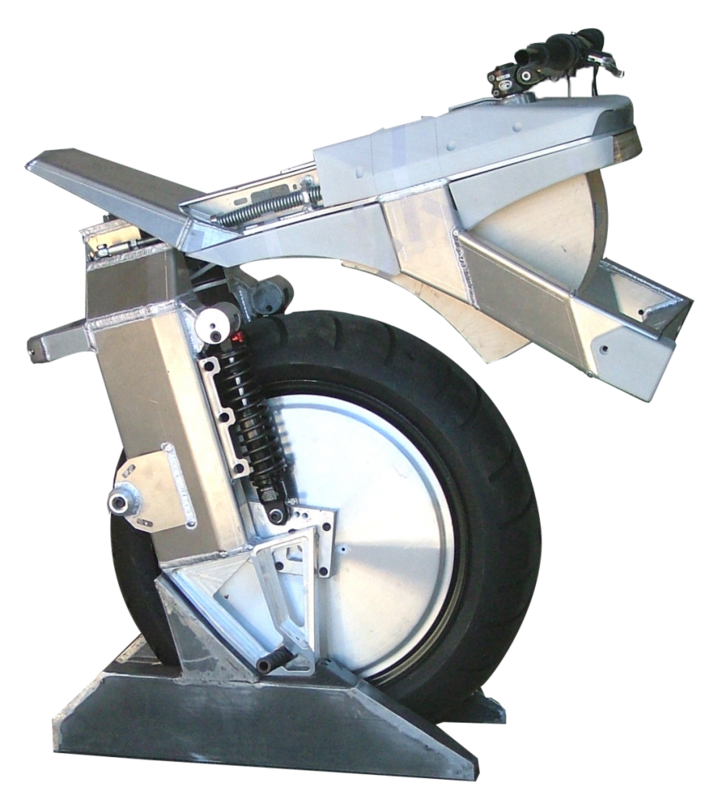 Tony Ozrelic (RYNO’s co-founder), was an engineer and inventor with a keen interest in self-balancing machines. Thanks to an online tutorial Tony posted about how to build a Segway from off the shelf parts and plywood and an email from Chris that said it might only take a few weeks to write the software, Chris Hoffmann and Tony connected. Chris had already built the mechanical frame for prototype one but was lost trying to figure out how to write software. Tony came by, took the electronics parts, and in a week had built the small two-wheeled contraption pictured above to show-off his self-balancing software. Over the next few years, Tony built the circuit boards and other components in his garage shop. Today, what is inside the RYNO is a product of all that experience and all that testing. While the look of the RYNO has evolved significantly, it was an incredible piece of machinery from the beginning. This is the first functioning prototype, built in 2008. The still functioning machine now sits at RYNO headquarters. Where does the RYNO name come from? The RYNO name came from the video game that inspired Hoffmann’s daughter Lauren to suggest the idea. 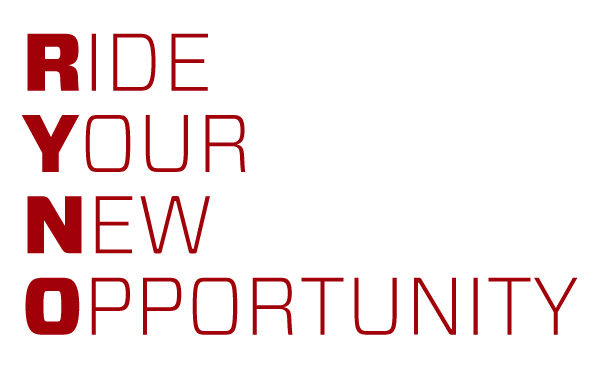 But after it was picked, we updated it with an acronym – Ride Your New Opportunity. Portland, OR, near RYNO’s Beaverton facilities, provides a perfect backdrop to illustrate the potential of the RYNO. As the product development process continued, the vision of what it could be became clear. A truly transitional vehicle for urban commuters. The lack of bulk meant it would be allowed to enter places and mingle in areas where larger machines could not go. This was no more apparent than in the urban downtown mixed-use areas in Portland’s Northwest district. Where can a Micro-cycle go? Elevators. Offices. Bike lanes – essentially, anywhere you can walk (and you wouldn’t walk on a freeway, would you?) 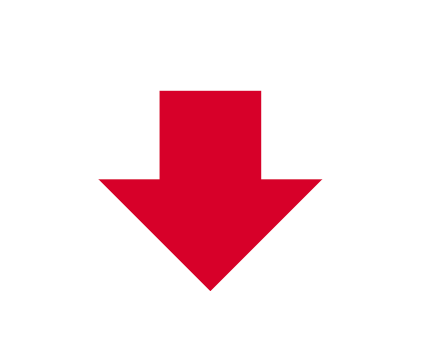 Keep in mind that regulatory laws differ from state to state, so it is important that potential purchasers carefully review their state regulations and comply with any special requirements. See our regulatory page for more information on where RYNO can go. 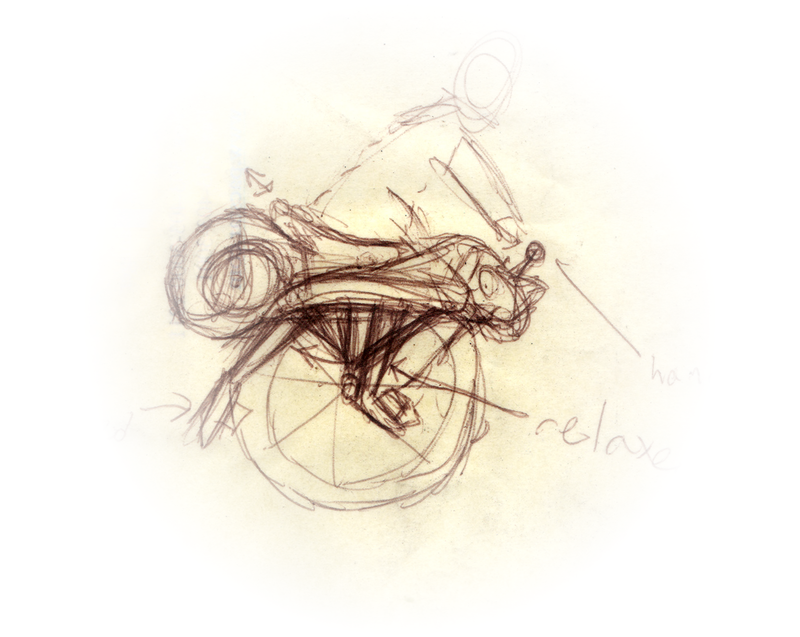 Work continued, as the RYNO engineering team sourced the most efficient batteries and engines, improved the design, and experimented with balance, rider ergonomics, and weight. 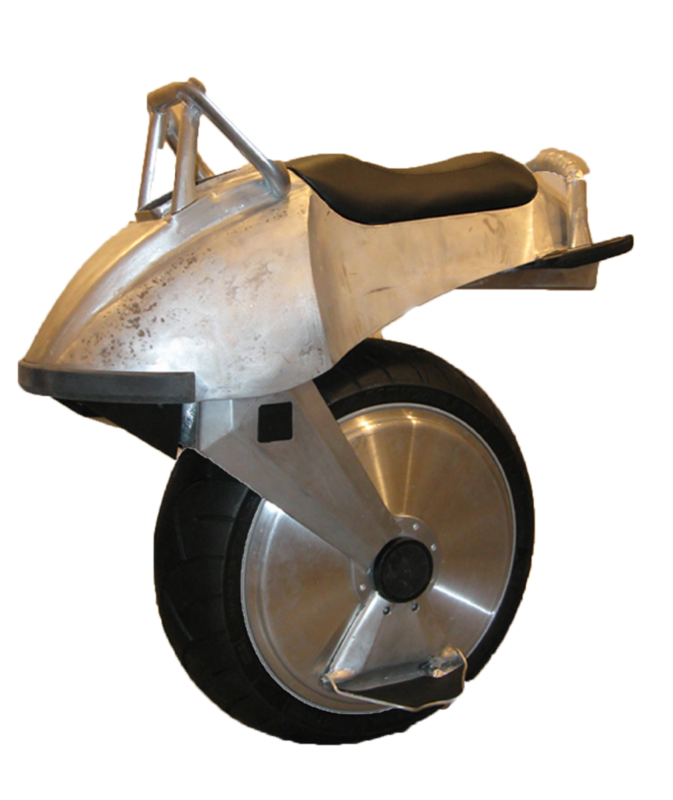 As products like the Segway came to market, the path was paved for personal transportation, meaning a world of RYNO-enabled freedom was beginning to exist. Word about RYNO began to get out. The futuristic, brushed metal prototype gets a TV cameo – but rather than a high-tech, sci-fi thriller, it stays true to it’s local roots. Thousands across the country saw the RYNO featured on an episode of white-hot sketch-comedy show Portlandia. A YouTube video featuring the RYNO racks up millions of hits as tech blogs, bike blogs, and other media outlets pick up the story of the one-wheeled motorcycle. In 2012, Chris Hoffmann is featured at an independently-organized TEDx event in San Francisco. Chris talks not only about the concept, but how city planners need to think more about saving “time” not fuel and how such a small, simple device has potential for joining the world-wide revolution trying to reduce congestion in cities across Asia or in our own backyard. The TEDx talk leads to RYNO being contacted by investors who shared the same vision of making RYNO a reality. The first RYNO riders are already adventuring out into the world. Are you one? 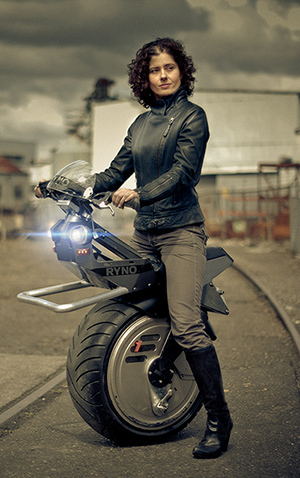 Riding a RYNO makes you not just a vanguard or trendsetter, but a part of the RYNO revolution – people willing to test their own strengths, their own limits, who are willing to make a personal commitment to something that’s not for everyone. If you literally want to balance right on top of a combination of cutting edge engineering and technology, wrapped up in a sleek adventuresome design, then your choice is clear – you need to ride a RYNO.